Giant ice cream cones. Everywhere. This time last year I had approximately ZERO trips planned for 2012. Appalling, I know. I was too busy focusing on Tanzania and Israel. I knew I couldn't have big trips like that again this year. My budget wasn't going to allow it unless I just opened my suitcase and found a pile of money (I keep hoping this will happen, but in the meantime I'll keep my day job). I figured that some kind of trip would come up. It always does....being open to opportunity is what makes my travel calendar the thing of fun and beauty that it is. In June of last year my mom surprised my sister and I by offering to take us to Greece this year. The only answer is yes. Shame on you if you look a gift vacation in the mouth and say no. Then last fall I booked comp rooms for Lake Tahoe. I lived there for two years after college and it is one of the most beautiful places I've been. I haven't been back since I moved away in 2002....because I keep going everywhere else. (happy disclaimer: I work for a hotel company and one of the best benefits is free stays). So then I had two trips going in to 2012. I thought that was pretty good. I still had some vacation time to play with, but wanted to work towards my goal of only taking trips this year if I can pay in cash (which was why Greece was not an option until it came as a gift). Earlier this month my mom and aunt decided they wanted to go California. They said I should go with them for a long weekend. Now, this was not part of my plan or budget. And then an offer I couldn't refuse: if I arranged the hotel rooms, they would buy my plane ticket. Victory #3! Then two weeks ago I went to the informational meeting at church about the youth mission trip. This is my third year as a youth sponsor. My first year we went to Guatemala - there was no doubt I was in! Last year they went to Galveston, TX, but since I was going to Israel a week later, that was not an option. This summer we are going to Joplin, MO. I checked my vacation balance and my work calendar and ta-da, trip #4 is on the books. 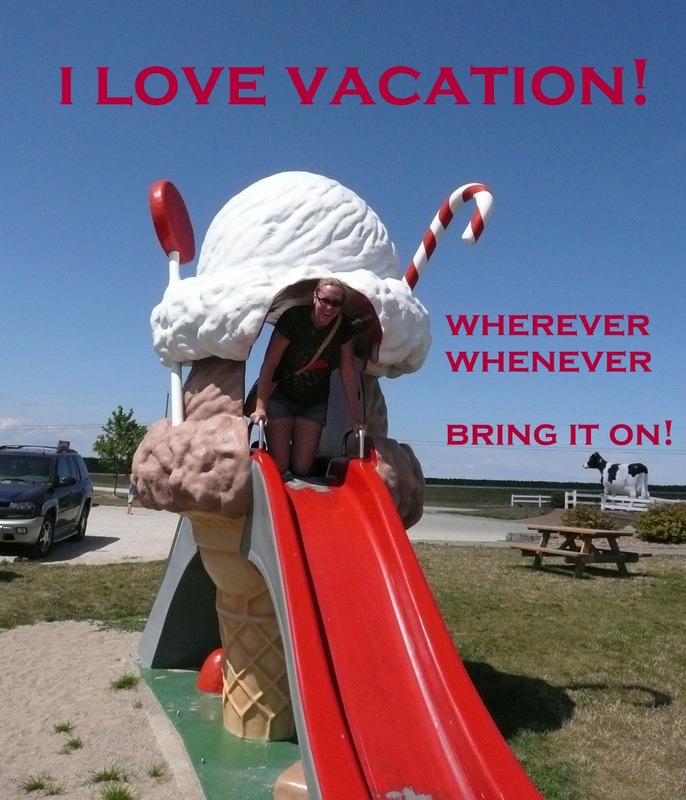 I'm a big fan of the volunteer vacation, so even though we'll be helping with tornado relief work, I'll be someplace new and not at work, so by definition...it's vacation! In reality I have now exhausted my vacation time. Until September when it starts all over again. Who knows what opportunity will pop up next?